UC Santa Cruz associate professor of film and digital media L.S. Kim has been selected to participate in the Television Academy Foundation’s 2018 Faculty Seminar Program. Kim is one of just 25 professors from colleges and universities across the country chosen to participate in the week-long entertainment industry seminar. The faculty fellows will get the latest information on the television and content development industries from top entertainment professionals during the Southern California seminar, which takes place Nov. 5-9. Travel and lodging are paid for by the Television Academy Foundation. The immersive week will include panel discussions with broadcast and cable networks’ programming and scheduling executives, legal experts, and cutting-edge content creators. It will also include private studio tours and trips to top Hollywood production facilities to meet with producers, observe production, and get first-hand updates on the latest in television technologies. Kim is an expert on television history and theory, racial discourse, feminist criticism, Asian American media production, industry practices, and social change in both mainstream Hollywood and alternative media. She has taught classes at UC Santa Cruz on such topics as Asian Americans in the Media, Reality Television, Music in Film and Television, Feminism and Film/Video/Television. Kim is currently finishing a book manuscript, Maid for Television: Race, Class, and Gender on the Small Screen, which is a historical study of comparative racial representation and a book about the representation of domestic labor on television. 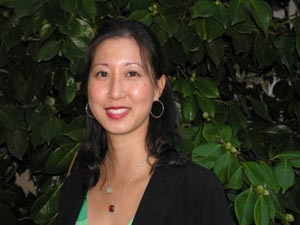 She has also written about race, class, gender and genre in publications such as; The Routledge Companion to Asian American Media, The Sage Handbook of Television, Flow TV, Journal of Film and Video, and Ms. Magazine. Established in 1959 as the charitable arm of the Television Academy, the Television Academy Foundation’s mission is to preserve the legacy of television and to engage, inspire, and educate the next generation of television professionals.